It struck me recently how impossible was to escape the news stories about Jimmy Saville and the horror of the crimes he committed. Obviously the most shocking part of the story is how he was able to get away with it for so long due, in part, to the shame experienced by his victims. This caused me to think about the shame experienced in addiction and how people will often not reach out for support for fear of the stigma attached to addiction. Whilst I realise I cannot change the way a person feels, I would like to point out a few trains of thought that have helped people I have worked with in the past. Firstly, it is important to remember that addiction is an illness in the same way that diabetes is. You wouldn’t expect a diabetic to go without insulin, so why would you expect an addict to cope without treatment? Whether this is rehab, counselling or fellowship meetings, they are all interventions designed to help the person get through their situation. Secondly, no-one chooses to become an addict – given the choice between being healthy and happy or living a life of isolated dependence, no one would choose the latter. However, that being said, while no one chooses to become an addict, they can choose to get into recovery and that is a choice that will be highly respected. That is the point of the fellowship meetings; for the person to realise they are by no means the first one to go through this, nor will they be the last. These meetings provide the person with perhaps the first opportunity to speak to people who do not judge but appreciate how hard the person will have been struggling. 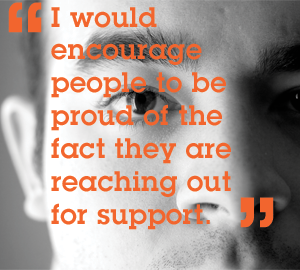 Rather than being ashamed, I would encourage people to be proud of the fact they are reaching out for support. There is no shame in asking for help, particularly from people such as ourselves that are just waiting to offer a guiding hand. Perhaps if more people had been supportive within the BBC, the current situation may not have gotten to this disturbing point; deception and secrecy very rarely benefits any of the people involved.